There are many ways to protect domestic and commercial premises from invading birds. One of those ways is post and wire for pigeon and seagull prevention in Kent. Instead of rows of bird spikes post and wire offers an exceptional protection. The main benefit, apart from the triangular fanned posts, is that the wire is unobtrusive. You would have to look closely to see it. 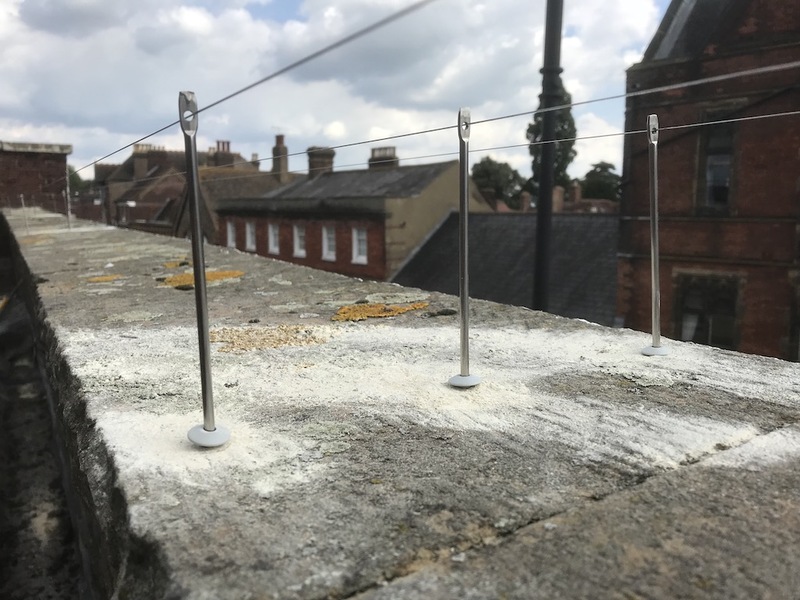 Compromising of steel posts at 180mm height for gulls and and 140mm height for pigeons and stainless steel coated wire which is fixed under tension, it makes it very difficult for birds to land on ridges or ledges. Using post and wire in conjunction with other deterrents. Depending on the problem post and wire can compliment other prevention measures. 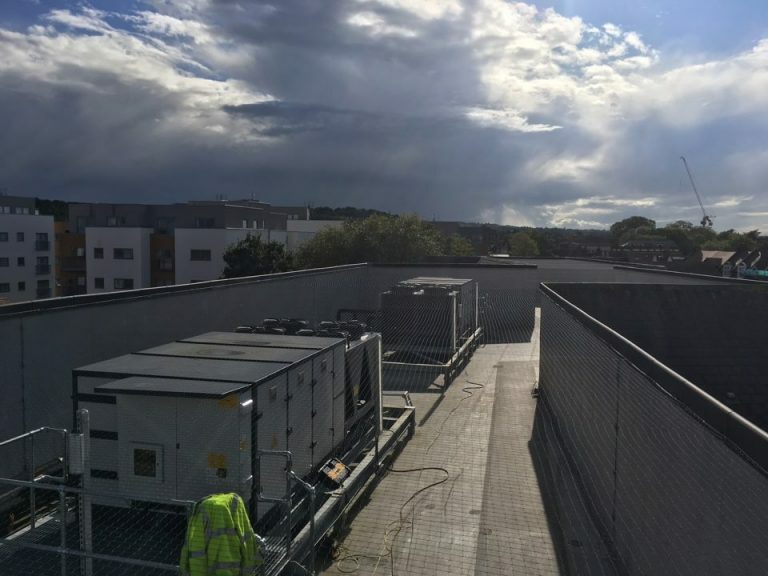 For example, where there is a flat roof we would install bird netting. Does post and wire harm pigeon or seagulls? No. None of our products are designed to harm, injure or trap birds as we work in line with Natural England and DEFRA guidelines. Post and wire acts as a visual deterrent only and will change the habit of the birds and prevent them from landing and roosting. It’s a fiddly job! But one that is well worth it. Long ridges, sills, girders/beams can be protected quickly and without spoiling the look of your building. 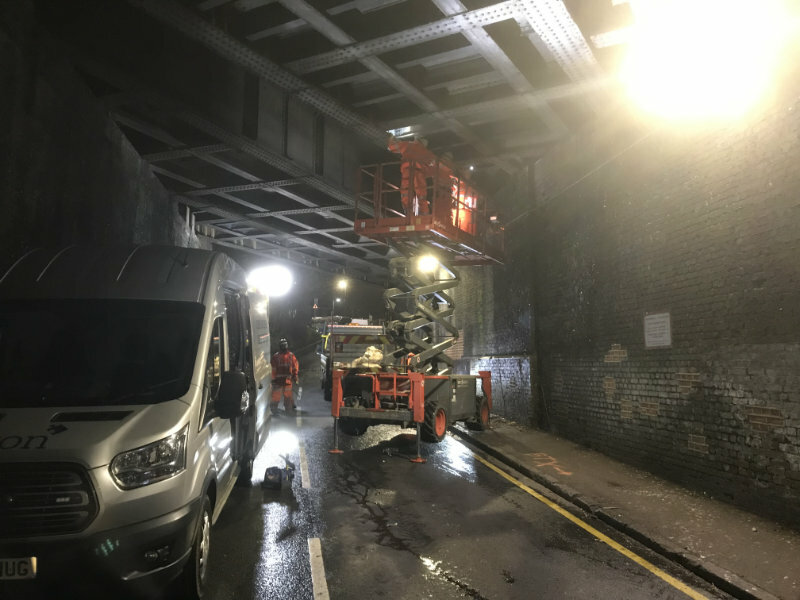 We can even fit to all types and sizes of down pipes, gutters using specially adapted connections. You can call Kent’s leading bird control experts if you want post and wire installed at your property. Email us here or call 01233 500332 or 07802 270407 for more information about our range of bird control deterrents. Post and Wire Bird Control fitted in Tonbridge. 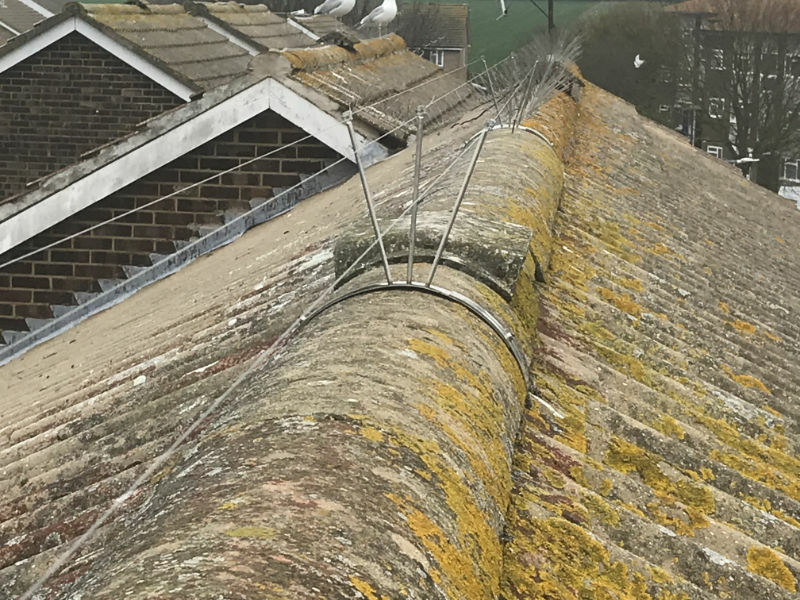 Kent Bird Control Services is a long established pest bird control company who install professional pigeon and gull deterrents for homes and business.